Send a delicious birthday gift they'll love to unwrap! 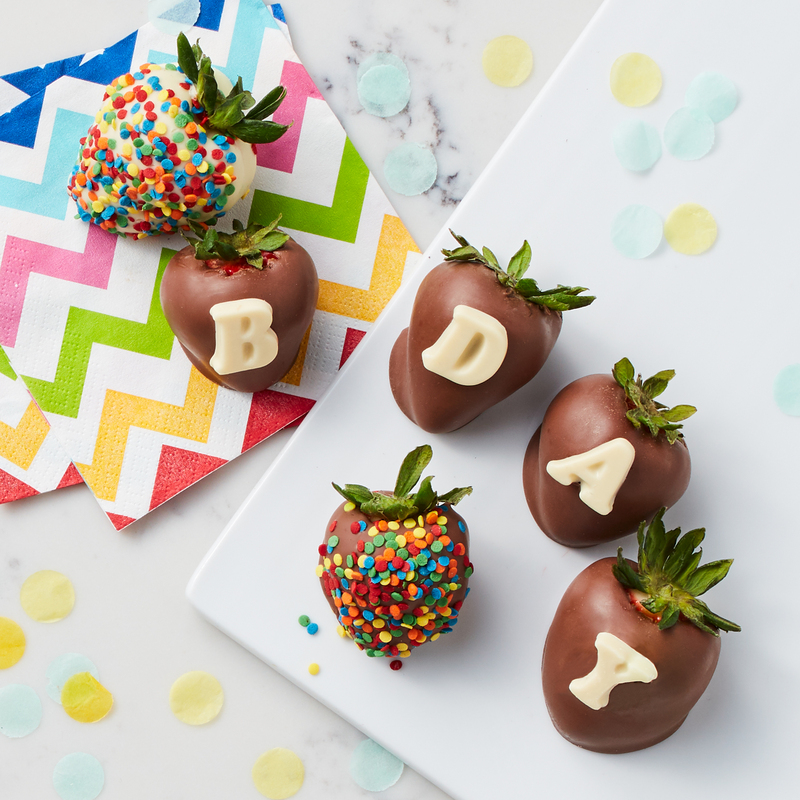 These dipped strawberries are bright, delicious, and perfect to wish someone special a happy birthday. This birthday gift box contains six assorted dark, milk, and white chocolate covered strawberries decorated with festive sprinkles and confections.